Minty and fruity both in the same colorful package. It's gum for the indecisive! There is something about humanity that values choice. To choose is to exert power. That's why "Get your pajamas on" is often replaced by "Do you want to wear your red jammies or your green jammies?" -- offering children a sense of control in their world. 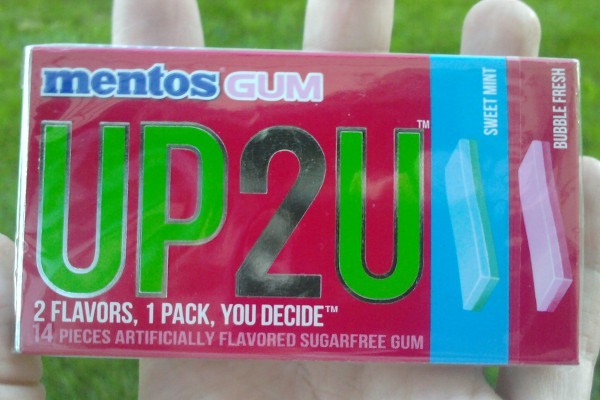 I wonder if that's what this gum is ultimately designed to do for adults, too.